Wear your love of Five Nights At Freddy's with this stylish Freddy Hat! 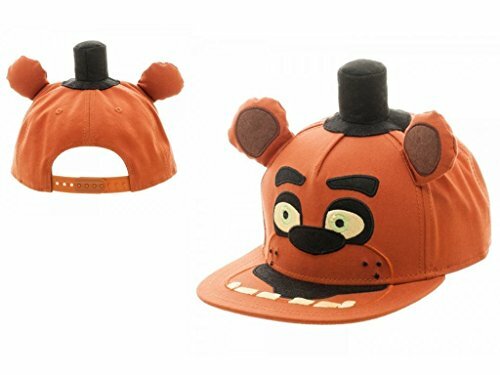 Brown snapback cap features Freddy Fazbear's face with 3D ears and top hat attached on top. Youth sizing. Adjustable, one size fits most. If you have any questions about this product by Five Nights at Freddy's, contact us by completing and submitting the form below. If you are looking for a specif part number, please include it with your message.